ASR is an expert in EMR or EHR Point-of-Care devices. 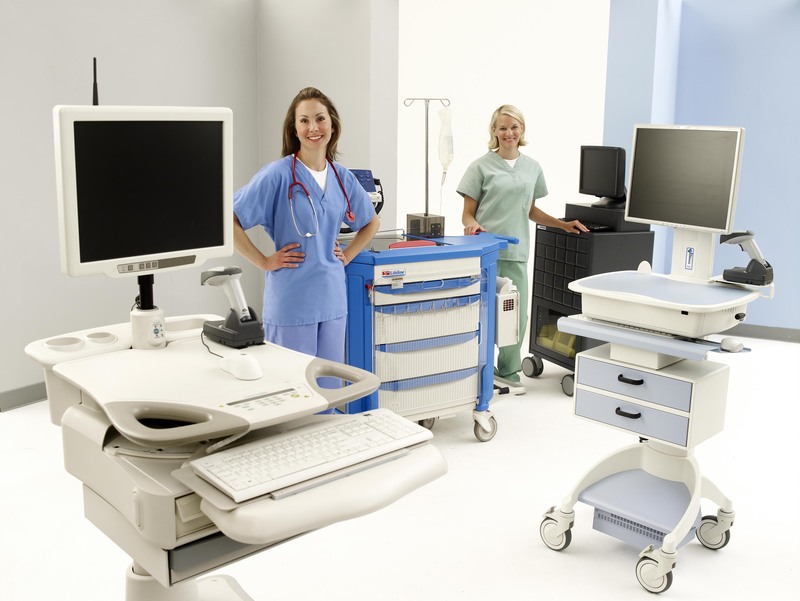 We proudly provide Healthcare Systems, large or small, with Mobile Workstations, Medication Carts, Medical Carts, TeleHealth Carts, RX Carts, Medical Grade Monitors, Wall Arms and other Healthcare related products. Our services in this area are unmatched. ASR is an authorized HP reseller of their whole product line. IT devices are integral to all Computer on Wheels (COW) or Workstation on Wheels (WOW) solution. We represent HP, Lenovo, Seneca Data, Microsoft, Tangent, CISCO and more world-class manufacturers of Healthcare related IT equipment. ASR is your complete Healthcare IT provider. Specializing in Point of Care Mobile Carts, TeleHealth Carts and their Technology, we have a solution for every budget. We will save your Health System $$$ on Mobile Carts, Medical Carts and Wall Arms. Our products, services and support are absolutely the best. ASR is a premier Dealer for many Mobile Cart Manufacturers and is based in Atlanta, GA. We offer COW / WOW solutions including Battery Replacement, Annual Maintenance, Repairs, Technology Refresh, Mobile Cart Refresh / Sterilization and more. Contact us at 877.272.8738 to show you how SAVE BIG!